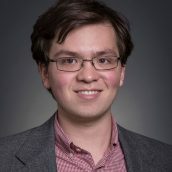 Nathaniel is a research assistant with the MIT Internet Policy Research Initiative and a second year master’s student with MIT’s Technology and Policy Program. His current research interests lie at the intersection of consumer behavior, cybersecurity, and privacy. He holds an undergraduate degree from Carnegie Mellon University in behavioral and decision sciences.